Q: Please tell us a bit about yourself. Where are you from and where are you now? A: I was born and spent the first 15 years of my life in Grove City, Ohio, and now I call Plainfield, Indiana, home. Q: How did you meet and fall in love with your husband? A: Chris was managing his family’s tanning salon, and I went in because I had a coupon. I thought he was cute and went in almost every day, and ended up being the darkest I’ve ever been! Finally, I asked if he could come over and fix my stereo. He did, and exactly four years from that date, we got married! Q: My favorite thing to talk about is my kids. Tell us about YOURS. A: My daughter, Brooklyn, is 5, although I can have a conversation with her and feel like I’m talking to an adult. She is so bright, and keeps me on my toes! She is an aspiring artist, and is always drawing something or making some sort of craft. 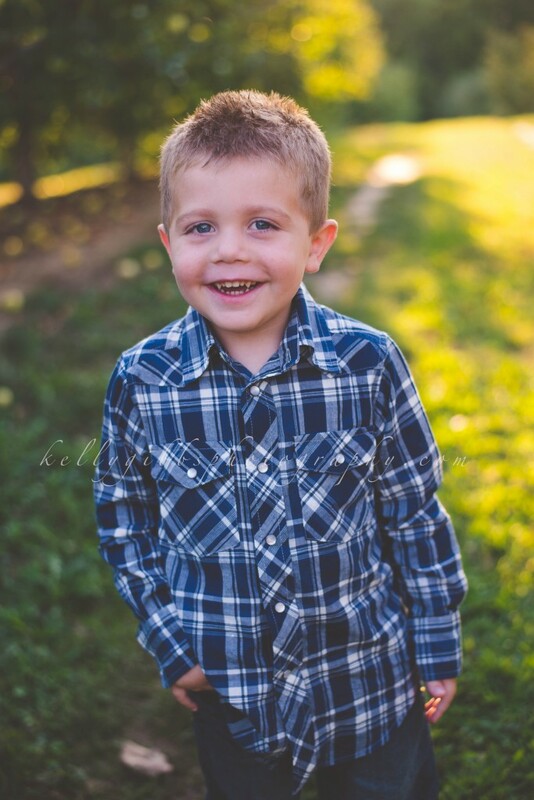 My son, Brayden, is 3, and has a heart of gold. He is so caring and wants to make sure everyone is happy all the time. He is also my little comedian! He never ceases to amaze me with some of the funny things that come out of his mouth. Q: What did you do in your previous life? Pre-Matilda Jane? A: I love to write, so it only made sense for me to get a degree in Journalism. I planned on moving to a big city and working for a magazine there. My husband’s job kept us in Indiana, so instead I worked as a reporter for the local newspaper until my daughter was born. I have been blessed to be able to stay home with our children ever since. 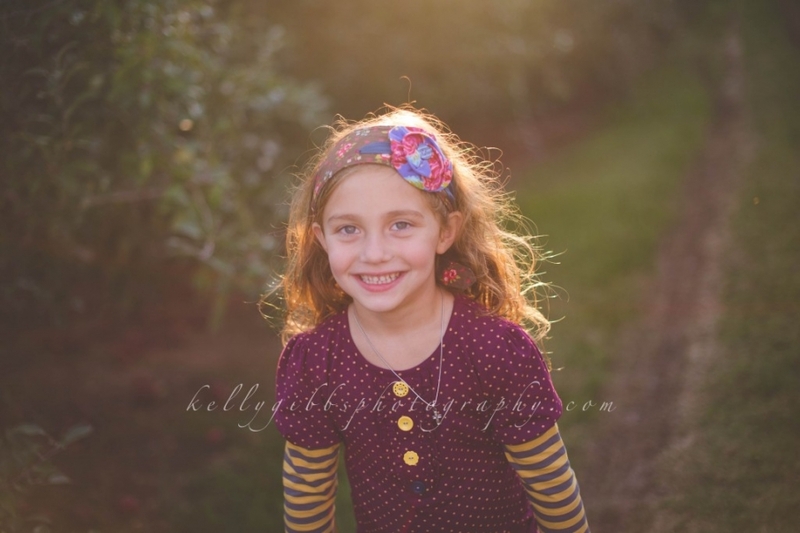 Matilda Jane is perfect for our family because I can still be home during the day, and go to Trunk Shows in the evenings when my husband is home. Q: How did Matilda Jane find YOU? A: I had admired the clothes my friend’s daughters wore for a number of years, without realizing what they were. I finally learned they were Matilda Jane, and went to one of her Trunk Shows. I hosted my own show and told my Trunk Keeper that I would love to do what she does. And now I get to! Q: Who on this earth has been the number one influence in your life? A: My husband is such a positive influence to me, and also our children. He sets a wonderful example through his hard work and love for the Lord. He works two full-time jobs, as a firefighter and owner of a construction company, and still makes it a priority to be a wonderful husband and father. He encourages me and has always been very supportive of anything I’ve wanted to pursue. Q: What are 5 words your friends would use to describe you? A: I have never asked anyone this, but I hope they would say I am caring, reliable, kind, thoughtful and thorough. Q: Besides your family, what are you most passionate about? A: I really love keeping up on my photo albums and scrapbooks. I print every picture I take, and organize them in albums by date. And I love to create scrapbook pages to remember holidays, vacations and other special occasions. A: Vanilla ice cream, chocolate fudge! Q: Are you a dreamer or a realist? A: I suppose I am a bit of both. I love to dream about projects I want to complete someday, and vacations I hope our family can go on. I am a realist in that I know goals take planning, so I try to break goals into smaller pieces so they are realistic to achieve. Q: Crazy or not, what is one dream that you would most like to make come true? A: I have always said I would like to visit every state in the United States and every continent, too. I don’t know how realistic that is, but I would love to accomplish it someday! Q: If you were gifted $1 million to donate to any charity or organization, which one would you choose? Why? A: I would choose an organization that sends missionaries to parts of the world that don’t know about Christianity, and plants churches there. One million dollars could be used to reach so many people! Q: If you could crawl into the pages of any book, what would it be and why? A: I would pick one of Karen Kingsbury’s books about the Baxter family. Her writing is so vivid that I could picture myself right there with the characters. I love that last photo! So neat! Nice to meet you Lindsey! Cute family pictures! I’ve never heard of or read Karen Kingsbury, but since you’re a write, she must truly be interesting, I look forward to reading her work. Thanks for the sweet look into your life and the book rec! 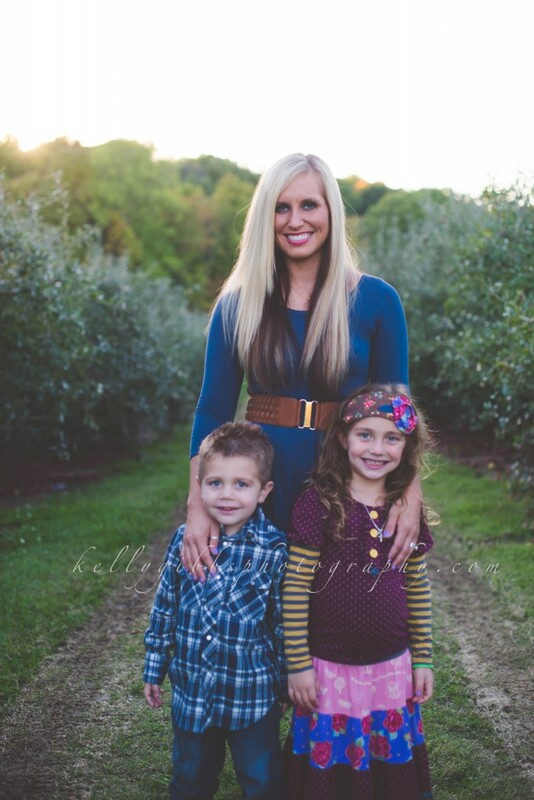 I love that apple orchard/bush/tree picture! Very cute!